We invite you to join thousands of conference attendees to network, reconnect with colleagues, and socialize with your peers at events that have been designed to engage and entertain you. The AM is not only a venue where 800 speakers present their latest research it also supplies an opportunity to engage with nearly 3,000 other professionals and enthusiasts from related fields. The special events at the AM vary in topic and scope, from the Public Lecture to professional development workshops. A full listing of AIA organized special events will be made available before the meeting in January. Please consult the final AM Programs or utilize the online scheduling tool to see the full listing of events offered. 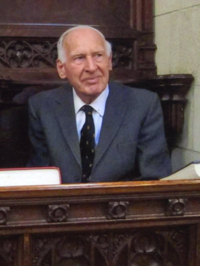 L. Hugh Sackett attended Oxford University (Merton College) where he received his Lit Hum (1949-53) MA and Dip. Ed. (1954). Since then, he has divided his time between teaching classics and classical archaeology at Groton School (Groton, MA) and fieldwork/study at the British School at Athens. Since 2008, Mr. Sackett has been the Honorary Vice President of the British School. He has excavated throughout Greece and Crete, including Mycenae and Sparta, and is perhaps best known for his work at Lefkandi and Palaikastro. Mr. Sackett has published landmark articles and monographs for both of these sites. Ann Santen recently ended a term as a Society Trustee of the AIA and she has served as society president of the Cincinnati Society since 2007. Under her guidance, Cincinnati has expanded its reach into the community by increasing its membership to include more local residents and students of all ages. Having volunteered her time as a non-professional AIA member, Ms. Santen went further than the average volunteer, increasing the footprint of archaeology in the Cincinnati area by recruiting graduate students from universities for an outreach program that interacts with schools and community centers throughout the metro area. Before retirement, Ms. Santen had a successful career as the General Manager at Cincinnati's premier public radio station. In 2004-2005, she joined the UC Classics Department on an excavation at Apollonia in Albania. 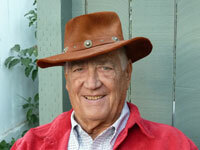 Waldo Tobler received degrees in Geography from the University of Washington in Seattle, worked at the University of Michigan and is currently Professor Emeritus at the University of California in Santa Barbara, where he previously held the positions of Professor of Geography and Professor of Statistics. His awards include a Lifetime Achievement Award in GIS by ESRI and a Doctorate honoris causa (1988) from the University of Zurich, Switzerland. He has been on several committees and councils including in the National Science Foundation sponsored National Center for Geographic Information and Analysis, the Urban and Regional Information Systems Association, the Regional Science Association, the Mathematical Social Science Board, the US delegate to the International Geographical Union Commission on Geographical Data Processing and Sensing, the National Academy of Sciences of the United States, and prior to his retirement, the Royal Geographical Society of Great Britain. Having used computers in geographic research for over forty years he is known for his publications and the "first law of geography" (1970) as well as his invention of several map projections. He has also been involved with the National Research Council and the Board on Earth Sciences, and has been on the editorial board of The American Cartographer, Journal of Regional Science, and the International Journal of Geographical Information Systems, among others. Recent work involves building a global, latitude-longitude oriented, demographic information base with resolution two orders of magnitude better than was previously available. 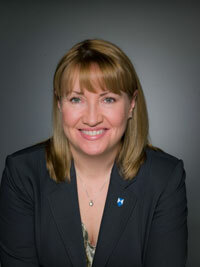 Corine Wegener is Cultural Heritage Preservation Officer in the Office of the Under Secretary for History, Art and Culture at the Smithsonian Institution, where she coordinates the Smithsonian's role in the preservation of cultural heritage threatened by natural disasters, human conflict, and other challenges. She earned Master of Arts degrees in both Political Science and Art History from the University of Kansas and a bachelor's degree in Political Science from the University of Nebraska at Omaha. 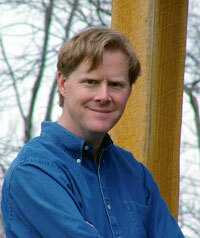 Steven L. Tuck is Professor and Chair of Classics at Miami University. He received his BA in History and Classical Languages at Indiana University (1986) and his PhD in Classical Art and Archaeology from the University of Michigan (1997). The postdoctoral Arthur and Joyce Gordon Fellowship in Latin Epigraphy at The Ohio State University (1997) concluded his education forcing him to seek gainful employment. He has received several awards, including the E. Phillips Knox Teaching Award, the Outstanding Professor Award, and the Rackham Research partnership Award, among others. Prof. Tuck's work focuses on the archaeology of the Roman provinces, topography and monuments of ancient Rome, and Latin epigraphy. In 2006, he published Latin Inscriptions in the Kelsey Museum: The Dennison & De Criscio Collections (University of Michigan Press), which presented all of the Latin inscriptions in the Kelsey Museum for the first time. 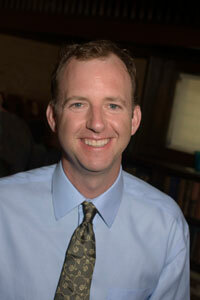 Professor Bryan Burns received his B.A. University of North Carolina at Chapel Hill (1993) and his MA & PhD in Classical Art and Archaeology at the University of Michigan (1999). Currently working as Associate Professor of Classical Studies at Wellesley College, a Co-Directorof Eleon Excavations (Eastern Boeotia Archaeological Project) in Greece, and President of Archaeological Institute of America Boston Society, his research specialty is Aegean prehistory, the study of early cultural phases in the Greek mainland and Aegean islands, in particular the Late Bronze Age societies of Minoan Crete and Mycenaean Greece (ca. 1700 - 1100 BCE). He has published Mycenaean Greece, Mediterranean Commerce, and the Formation of Identity (Cambridge 2010) and is actively engaged in archeological fieldwork, studying the ancient settlements in a broad agricultural plain in the region of Boeotia in central Greece. He is also co-chair of the Lambda Classical Caucus, an affiliate organization of the American Philological Association, which promotes research bridging classics, gender theory, and the history of sexuality, and was recently elected to the Alumni Council of the American School of Classical Studies at Athens, the premiere research institute for the study of antiquity in Greece. Joyce Tyldesley earned a first-class honours degree in archaeology from Liverpool University, and a doctorate in Prehistoric Archaeology from Oxford University. In 2011 she was awarded an honorary doctorate by the University of Bolton. 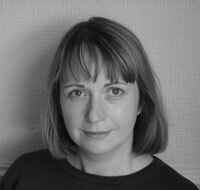 She is currently a Senior Lecturer in Egyptology at Manchester University, where she writes and teaches the online Certificate and Diploma courses in Egyptology to students of all ages and experiences, worldwide. She is a Research Associate of the Manchester Museum and President of Bolton Archaeology and Egyptology Society. She is also a part-qualified Chartered Accountant, and spent seventeen years supporting her developing writing career by working as a manager for a firm of chartered accountants. Her many publications are designed to make archaeology accessible to non-professionals, by providing readable yet accurate accounts of the past. 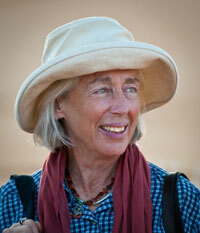 Elizabeth Fentress has worked as a field archaeologist since graduating from the University of Pennsylvania, earning her MA from the University of London and PhD from Oxford. Her chief interest is in the archaeology of the longue durée in the Mediterranean; to this end she has directed projects in Italy (Cosa, Marsala, Alatri, Villa Magna), Tunisia (Jerba, Utica), Algeria (Sétif, Diana Veteranorum) and Morocco (Volubilis), collaborating in almost all cases with local partners. In the process, Dr. Fentress has tried to create a model of what American archaeology abroad can be: collaborative rather than colonial, with a strong emphasis on the formation of students from all nationalities in the techniques of archaeological excavation, from digging through publication. This was the aim of the Summer Program in Archaeology at the American Academy in Rome, which she created and co-directed with Malcolm Bell and Russell Scott for 10 years. Her role as Mellon Professor at the AAR (1995-8) can be seen in the same light: opening up the institution to its Roman context. The Fasti Online is a natural outgrowth of this view, bringing together the archaeology of a number of countries in a single website which is greater than the sum its individual parts. The California Archaeological Site Stewardship Program (CASSP) is a statewide program, directed by the Society for California Archaeology. CASSP trains local volunteers to regularly visit assigned sites on public lands and report their conditions to the local supervising archaeologists. By regularly monitoring sites, CASSP ensures that potential problems are detected early and can be corrected quickly, thus limiting the extent of damage at each site. CASSP operates under the philosophy that public lands belong to all of us and as members of the public we need to find responsible ways to engage in protecting sites. Trained site stewards provide an additional interface between the recreational user and the agency archaeologists so that resources can be protected from harm and managed for future generations. Since the program's inception in 1999, nearly 1,400 people have participated in 75 CASSP training workshops at locations across the state. 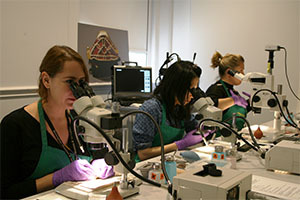 The Staffordshire Hoard Conservation Project (SHCP) is a unique project executed by the Birmingham Museum and Art Gallery. Since its inception in 2010, the project has utilized an innovative, team-based approach to conservation. SHCP's open and collegial approach to establishing a conservation team attracted several professional conservators who brought with them considerable conservation experience. With the help of these professionals, the SHCP was able to ensure the highest standard of conservation possible for the gold and garnet Anglo-Saxon artifacts. Due to the hoard's immediate popularity following its discovery and acquisition by Birmingham Museum and Art Gallery and the Potteries Museum and Art Gallery, Stoke-on-Trent, SHCP made it a priority to involve the interested public in the conservation efforts. Public programs included open lectures, studio tours, family days, and written and video blogs that were launched by the conservation team to create a supportive public community that felt engaged and involved with the team and the project. Annemarie Catania completed her B.A. 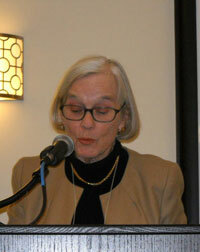 in Liberal Arts at St. John's College in Annapolis and began her PhD at Johns Hopkins, earning an M.A. in Classics in 2010. 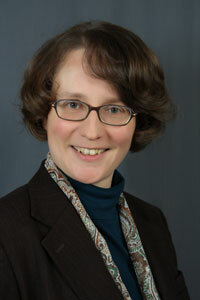 She is currently completing her dissertation at the Philipps University in Marburg, Germany.